The doctrine of the Trinity is not just a calculated observation regarding the state of God's existence. It's actually the answer to a larger question; a question regarding the nature of God's being from which all creation was formed; a question of our own human, image-bearing existence and our own ethical and systemic responses to the invitation to "subdue" the earth. In other words, the Trinity is a way of understanding how we were created--in the image of God--and how we should dwell in the earth as a reflection of God. 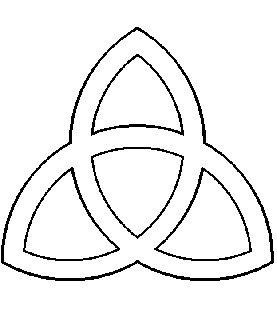 I've noticed that it's somewhat trendy to question the Trinity. It seems to be a go-to doctrine to question for people who are trying to lean toward theological obscurity. And while it is important to note that the authors of the Bible didn't likely have a clear formulation of Trinitarian theology, at least not in any systematic way, and while it took theologians a couple centuries before they really seemed to be on their way toward hashing out the concept in doctrinal terms, it doesn't take away from the fact that it's a profoundly important response to the questions of God's nature. And, if we understand it well, it's prophetically challenging to the current dominant cultural sensibilities, social constructs, and even political realities. "We can be grateful that the Church affirmed that the transcendent divine, the divine in Jesus, and the divine in us are all equally divine. As a result, we are not confronted with a mythology of multiple divine beings" (Essentials of Christian Theology, edited by William C. Placher, page 75). We can affirm the one God, Yahweh's potency, in all our experiences of the divine without the convolution of either a team of deities or, worse yet, a competing hierarchy of divine entities. But where the rubber really hits the road is in how our relating with one another reflects who God is. The way we love one another directly relates to the way we love God, we image God in the way we order society. Jesus taught this when he said that loving neighbor as self was on the same level as loving God with all your being (see Luke 10:27). Indeed the Shema, from which Jesus was quoting, grounds this love in God's oneness. "Hear oh Israel, Yahweh our God, Yahweh is One," followed by the command to love, is another way of saying, "with the same kind of oneness from which God loves us, we should love God." So what kind of oneness is reflected in our relational structures? 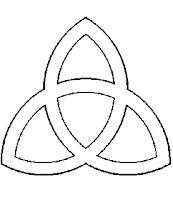 The Trinity suggests a oneness that is simultaneously and paradoxically relational. As such, it collides with our modern individualistic sensibilities. In a culture where oneness is fundamentally and necessarily autonomous, where independence and individual "freedom" is the principal conviction, Trinitarian communal interdependence is difficult to accept. In the ways in which we relate to one another, indeed in the ways we "subdue the earth," we reflect a very "self-contained and self-sufficient individuality" (Cobb, page 75). We value individualism over against interdependence and so we judge our neighbors before we care for them. Even our compassion comes from a vantage point of disconnectedness, our reward (perhaps a tax write-off) is ours and not the benefit of the object of our compassion. And at some levels, we also reflect a sort of polytheistic divine hierarchy, where competition is more valuable than solidarity. If God is Father, Son, and Holy Spirit--Transcendence, incarnation, and immanence--living in authentic communal interdependence, then the very presence of God must transform us and reorder our society. And this is important, because it's very easy to make the claim that God is relational without need of Trinitarian criticism. But to say that God is relational in a Trinitarian way is to say that loving relationality is not just an extension from God's individuality but that God is essentially and fundamentally relational--to be in community is not an ethic of an autonomous and self-contained God, it is a statement about the very presence of God. This is the God in whose image we are created. Therefore, to be Trinitarian is not only to make new claims about God's existence, it is to make claims about our existence and the nature of our autonomy. It should rework our relational patterns and challenge our individualistic presumptions. It should actually change the way we understand ourselves. We are not merely to love as an extention of ourselves, we are to see love and our connectedness to our neighbors as the essence of our existence. We are created from community for community and so to love God is to live accordingly. We are not created for self-sufficiency as such. We are not to be self-contained. We are dependent upon one another and thus we have a responsibility toward one another. When our sister or brother suffers, our very identity is caught up with their suffering. Martin Luther King, Jr. understood this when he said, "Whatever affects one directly, affects all indirectly. I can never be what I ought to be until you are what you ought to be. This is the interrelated structure of reality." The church has not been mistaken in its history of Trinitarian proclamation. It's only mistake has been allowing it to remain an ethereal and doctrinal formulation rather than a true challenge to the structure and values of our society. God is a social reality, so our social realities should be transformed accordingly. The Trinity is about countries and borders, conflict and justice, economics and even education. Our mistake has been in the isolation of theology from reality.